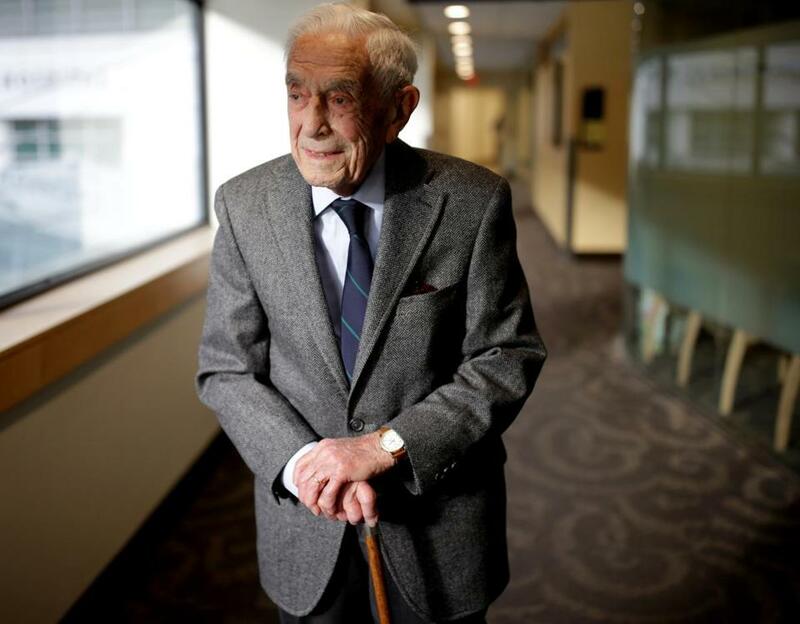 Dr. Walter Guralnick, 100, no longer sees patients but works with resident doctors at Massachusetts General. 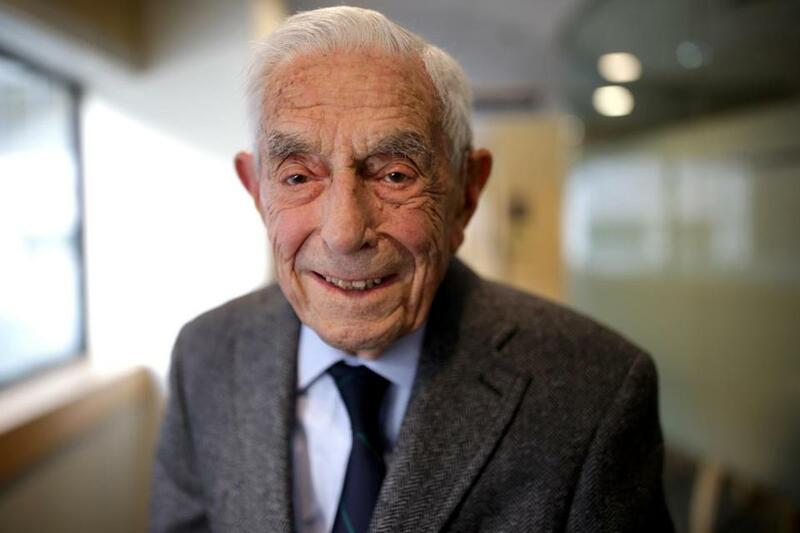 Dr. Walter Guralnick reached into a briefcase on his desk at Massachusetts General Hospital, pulled out a printout of a speech he gave a few months ago, and slid it across to a reporter. The speech contained the answers to the two questions he is asked constantly, and Guralnick figured it best to get them out of the way since he knew they would be coming. The first question is: How does it feel to be 100 years old? That answer is quite easy. It doesn’t feel much different than the many birthdays that have preceded it. But the answer to the second question — Why haven’t you completely retired? — is both simple and complex and in many ways is the story of Guralnick’s long life. Health care and health policy have always been his vocation and his avocation. It is a phrase he has uttered many times, and it is the reason, 65 years after he began his career at Massachusetts General Hospital, he still shows up most days to the department of oral and maxillofacial surgery. In the field of dental surgery, Guralnick has long been a giant, a former chair of the department who pioneered the concept of having oral surgeons pursue dual degrees in dentistry and medicine. He also distinguished himself in the effort to bring affordable dental care to the masses through dental insurance. He helped found what is now Delta Dental and served for many years as its president, pro bono. Guralnick no longer sees patients; instead, he spends his time working with the residents in the department. Dr. Walter Guralnick is 100 years old. Guralnick grew up in Roxbury, graduated from Boston Latin School and the University of Massachusetts Amherst, and earned his doctor of dental medicine degree from Harvard in 1941, just as the United States was about to enter World War II. He married his wife, Betty, shortly before he enlisted and was sent to Europe, where he worked in hospital units in England, France, and Belgium. He and Betty, who died a few years ago, raised three children in Brookline, instilling in them his strong sense of community and democratic values. “His values have never changed, and that’s why he will never retire. His goal is to deliver health service and equality to all, and those are ongoing fights,” said his son, Peter, an accomplished author and music writer. “That’s why he still enjoys working with the residents. It’s an ongoing commitment to the humanism of medicine, and he has always wanted to instill that in the future generations. In recent years, Guralnick has given up driving and has moved into an assisted living facility in Cambridge.